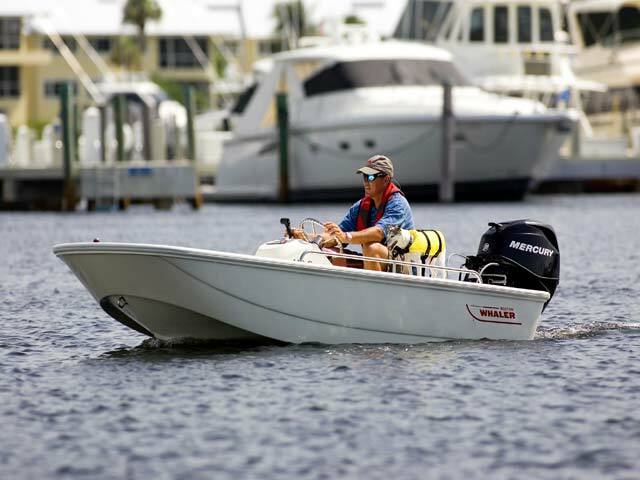 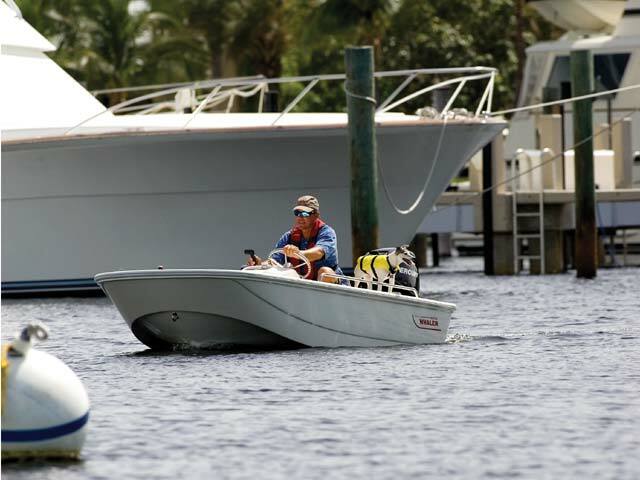 Nimble and lightweight, the Boston Whaler 110 Sport is a unique boat that can handle a variety of uses with ease. 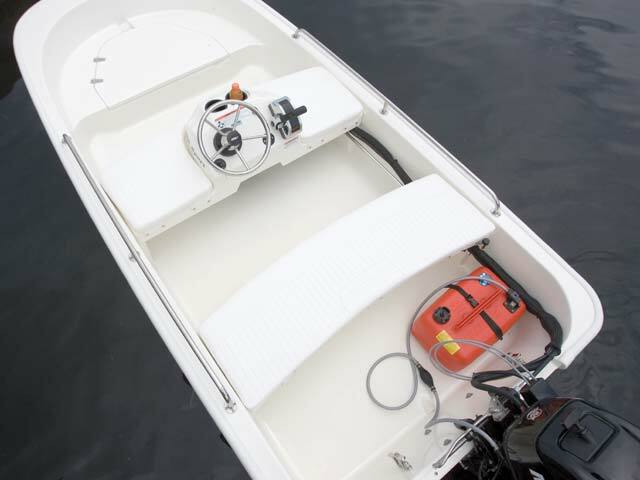 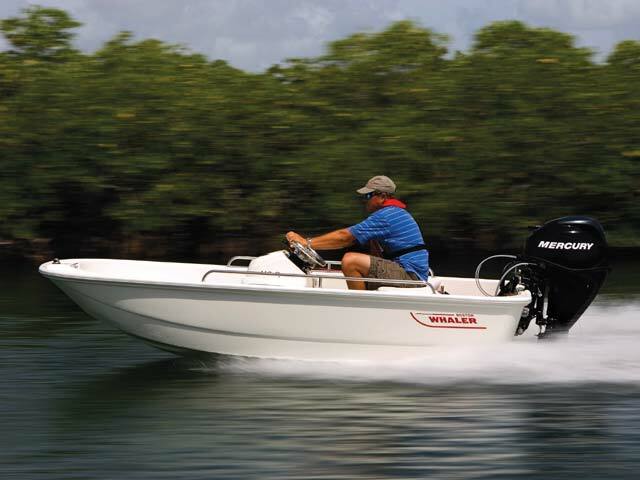 A standard 25-hp FourStroke Mercury engine powers fun family outings and fishing trips alike. 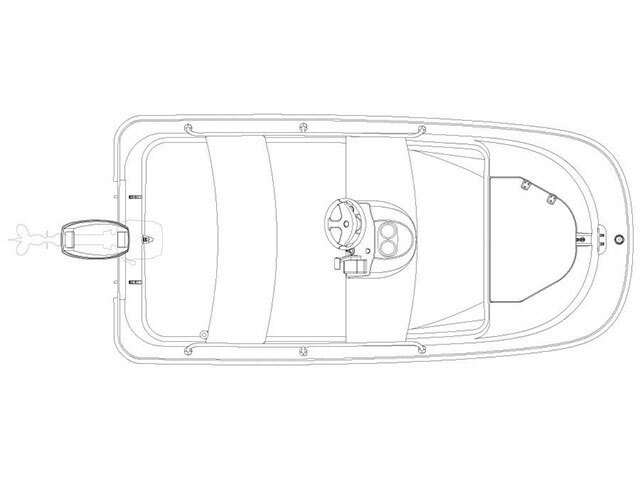 The 110 also serves as a highly capable yacht tender that’s far superior to any inflatable or RIB. 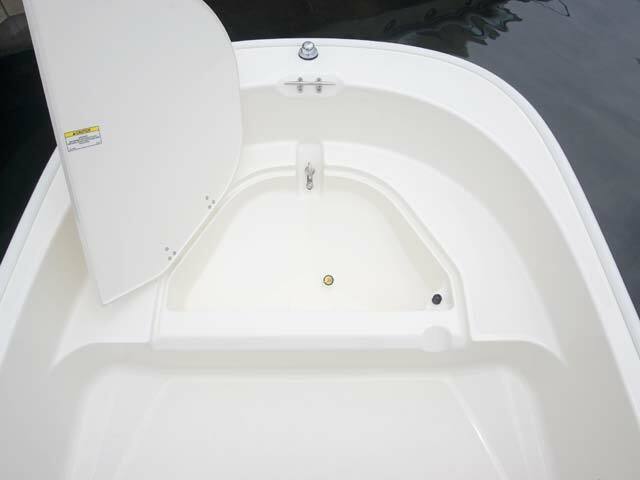 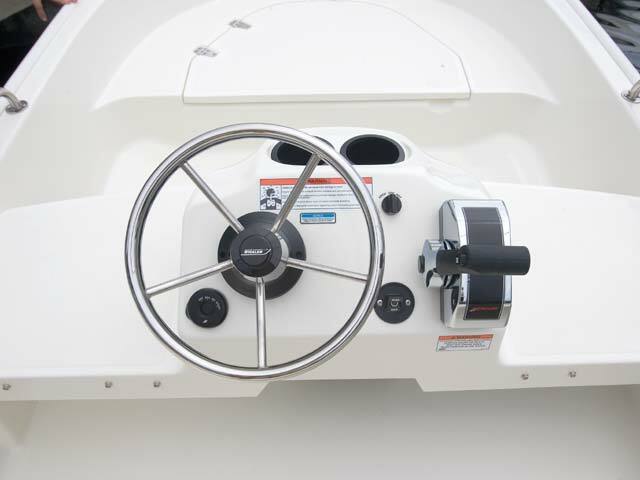 A sturdy and ergonomic fiberglass console, standard Mercury gauges and a safety switch provide peace of mind and effortless command at the helm. 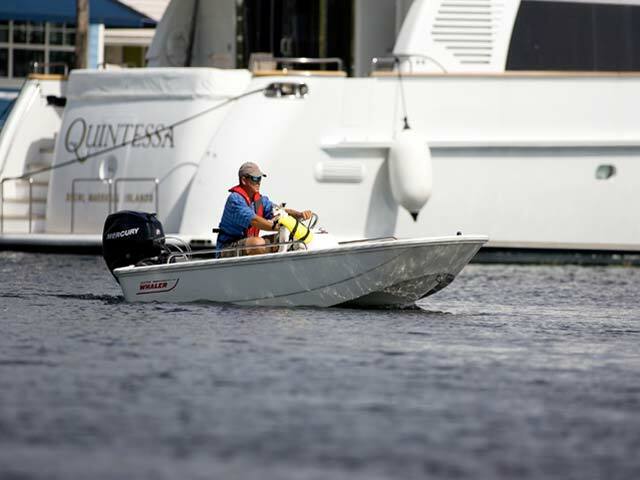 Stylish, high-end touches, including sleek stainless steel rails, cup holders, a bow locker and bow and stern cleats, round out the Whaler Sport, a runabout with big-boat capability in a small-boat size.